Getting viewers who click and pass on is no more productive than window shoppers at the mall. 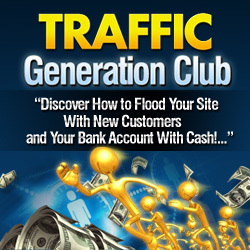 You make money online when you capture that traffic and convert the “lookers” into “buyers.” Sounds simple, right? 1. Refine your Unique Selling Proposition (USP). What makes your product different, special, better or more desirable? That’s the USP. Now get the answer to that question down to one or two concise sentences. 2. Sound friendly, not slick. Your sales copy needs to sound like one friend excited to tell another friend about a great buy. Avoid sounding like a high-pressure infomercial. 3. Ask for help. Give the viewers a reason to interact with you by asking for their opinion on a survey or product rating. You get useful information and keep them thinking about your product longer. 4. Simplify the offering. If you have three different products to sell, use three websites. Don’t make the mistake of trying to offer too much at once. This might work for major retailers, but they already have a brand and a following. 5. Leave some open space. Prepare a sales page that’s easy to read with wide margins. You don’t have to fill every inch. Leaving some white space helps the reader to better focus on the copy. 6. Brag openly. If your product has a good rating or endorsements from satisfy buyers, then let them brag about the product for you. 7. Cast with plenty of bait. In your sales letter and squeeze page, put out the “bait” for your offer over and over. Don’t skimp on bait. Better too many offers than not enough to convert that buyer who is still uncertain. 8. Find problems. Even after your sales page is complete, keep thinking about other problems that your product can solve. You might get a hint of new ways to promote your product by asking buyers how they use the product. 9. Use moderate highlighting. Yes, highlights draw visual attention but too many highlights or excessive colors frustrate online readers. 10. Package deals are popular. After presenting your USP, sweeten the offer with a package including several free items as part of the “Buy Now” deal. Limited time offers create a sense of urgency for the buyer to act. 11. Ask for the order. An old principle of sales that must never be ignored – ask for the order, ask again then ask again. You can’t ask too many times. 12. Say “Thank you.” Have a gracious, personal sounding, “Thank you” email with the order confirmation. It never hurts to show good manners and buyer appreciation!